The Iditarod is the best-known race of Alaska’s official state sport, but there are dozens of dog races that take place during Alaska winters. Once a basic form of transportation, this popular activity has evolved into a recreational and competitive activity for both residents and tourists. 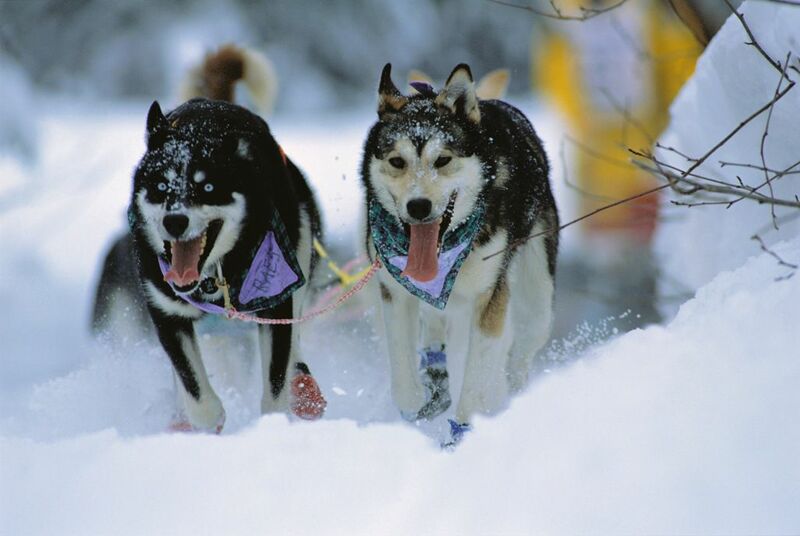 Here’s more about how dog mushing became Alaska’s favorite sport! For hundreds of years, nomadic Alaskan natives used dogs to help move supplies in both the summer and winter. Dogs were also vital in hunting and in helping keep watch for bears and other dangers. As sleds came into use in Alaska’s interior, Alaskan natives began to breed dogs that had the agility necessary for pulling the sleds as well as the strength for pulling heavy loads. Favorite dog sledding breeds have included malamutes – native to Alaska – and Siberian Huskies. Each breed has the strength and furry coat needed to endure Alaska’s winters. But today, the modern Alaskan husky – which is bred from malamutes, huskies and other dog species – is the sled dog favorite of mushers who race. The genetic lineage of these dogs gives them the strength and agility of traditional breeds as well as the endurance needed to stay healthy over long distances. Gold brought settlers to Alaska in droves in the 1890s. In 1908, government employees adopted the use of dog sledding to scope out a route from Seward to Nome. It didn’t get much use at first, but when prospectors learned of a gold discovery in the now-abandoned town of Iditarod in Alaska’s interior, the trail became a key route serving the growing number of mining camps in the region. Teams of dog sleds brought in mail and vital cargo to these otherwise unreachable camps. It remained the main mode of transportation until the 1920s when air travel landed on the scene. But the Iditarod Trail had a revival in 1925: When a diphtheria outbreak ravaged the city of Nome, flying life-saving serums into the town was impossible because of the dangerous winter weather. A series of dog sled teams instead carried the serum from the rail station in Nenana to Nome – a distance of nearly 700 miles – making history and helping to inspire the Iditarod Race we know today. 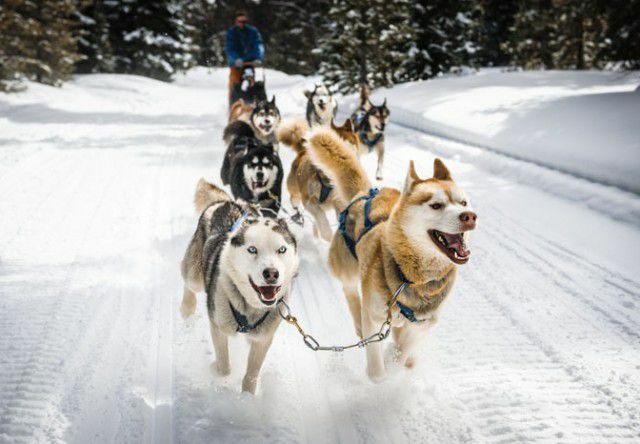 Faster transportation modes once again impacted dog sledding when snowmobiles came into wider use, placing the state’s sled dog culture in danger of dying out. Die-hard dog mushers wouldn’t let that happen. In 1964, Dorothy Page, who led a committee planning the celebration of Alaska’s 100th anniversary of establishment as a U.S. territory, came up with the idea of a sled dog race over the historic gold rush route. She gained support from musher Joe Redington, Sr., who worked with her to develop a 56-mile centennial race between Knik and Big Lake. Redington wanted to carry it further, to both preserve sled dog culture and maintain the historical Iditarod Trail that stretched between Seward and Nome. After lengthy discussions with fellow mushers, the first Iditarod race was held in 1973. To this day, racers stop at checkpoints located near old gold rush camps during the 1,000-mile-plus race. Now, Alaskan dog mushers have plenty of races to choose from, including the 1,000-mile Yukon Quest International Sled Dog Race, the Open North American Championship Sled Dog Race, the Limited North American Championships, and the fun Gold Run race, which combines skijoring and mushing and welcome all ages of participants. Some modern-day mushers have mixed tourism with racing, welcoming curious visitors to their kennels to see the dogs and learn more about this special Alaska sport. When you’re staying at a Westmark Hotel, be sure to ask our friendly staff about day excursions to meet some of these agile canine athletes where they live and train.